Waking up to a throbbing pain in the bottom of your feet can be discomforting. If this usually happens to you, you might be suffering from plantar fasciitis. Plantar fasciitis is a type of condition where plantar fascia is strained. Plantar fascia is t This condition is a nightmare because once you have it, it is very difficult to get rid of it. Thankfully, there are specialized running shoes which cater to this problem. If you are the victim of Instead, help you on a day to day basis when you engage in physical activities. I have taken the time to look for the best women’s running shoes for plantar fasciitis. Picking these shoes would give you a comfortable experience. What are the Benefits of Women’s Running Shoes for Plantar Fasciitis? How to Choose the Best Women’s Running Shoes for Plantar Fasciitis? These are the 10 best women’s running shoes for plantar fasciitis. These 10 shoes caught my attention and I have done a detailed review to make your work easy. 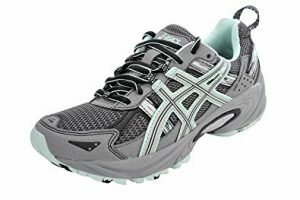 The ASICS Gel-Nimbus is a top cushioned shoe that gives you utmost comfort. A shoe specifically made to give you a comfortable ride and it also has an amazing midfoot support system for optimum performance. The ASICS FluidFit technology provides a multi-directional stretch mesh and the ability to adapt to your feet. This will give you a customized feel. The high-end material that has been used reduces irritation and enhances your experience. The exoskeletal heel counter provides better support and creates reformed heel fitting. The Trusstic System Technology integrates Guidance Line construction to increase the gait efficiency. ASICS FluidRide midsole will also give you exceptional cushioning and durability. The 3mm of additional height on women’s models helps reduce Achilles tension and other foot related conditions. The high-end materials used provides underfoot comfort and proper moisture management for enhanced service. The gel cushioning system has been preferred by the people. It helps in negating the impact shock generated by the foot. The stylishness of the shoes has been appreciated by the testers. The various colors offered further convinced the testers. The durability of the shoes was also commended by the testers. The good quality of the cushioning platform and its responsive nature was a big yes. For runners who required gait efficiency, the midfoot support system fully satisfied them. The upper unit of the shoe is of high quality. It helps to keep your feet cool during hot days. The accuracy of the fit was also commended. The toe box was a bit tighter. Few mentioned that the out sole was a bit thin and it created a doubt about the product’s longevity. 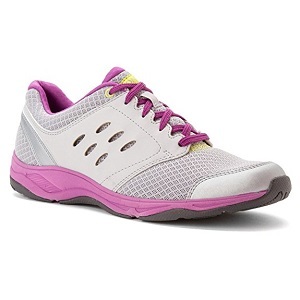 This athletic women’s shoe brings optimal comfort and stability. Its light structure will get you pleasantly surprised. The double layered performance foam in the midsole provides greater cushioning and support for you. Roller posting system in the heel ensures that the strain during activities is reduced. The brown rubber outsole and dual density collar foam ensure enhanced performance on a daily basis. Also, PU footbed enhances cohesion and cushion. New Balance W1540 is a premium made shoe which has a rich history of delivering high-quality shoes. The shoes have been commended for being well ventilated. The impressive arch support of the shoes has also been mentioned numerous times. The durability of the shoes has been enhanced by its blown rubber outsole. The upper construction of the room is breathable and people like how comfortable it is. Wide footed runners have given positive feedback about the room toe box. The price of the shoe can be slightly expensive when compared to others. 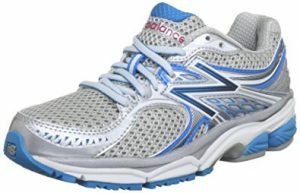 The New Balance W1340 is designed to cater to the needs of overpronators. The motion control technology helps trainer to endure demanding training. A motion- control technology that supports your every step. 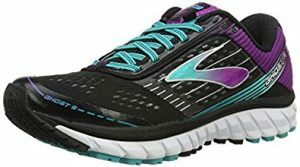 The 1340v2 stability running shoe for women was designed to reduce pronation and provide cushioning that lets you stay comfortable and under control. The shock absorption feature of the 1340v2 is sensational and reduces shock during continuous movement. Blown rubber outsole and synthetic upper further add to the charm of this shoe. The high wear areas are covered with a high quality of durable rubber compound. A lightweight, flexible TPU shank engineered to give high torsional stability and provide maximize arch support. It also has a technology called N2 that has a responsive and durable cushioning system. The appealing look is a plus point. The brown rubber outsole provides outstanding grip. The wide toe box of the New Balance 1340 is a plus point. It is expensive for some. You might feel that the upper portion of The New Balance 1340 is not as breathable as the older versions. You might find The New Balance 1340 a bit heavy as compared to other shoes. A versatile shoe which can be used on multiple surfaces. 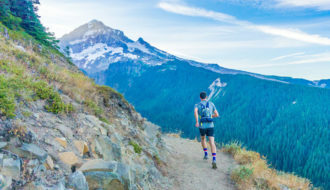 It is a great trail running shoes that will not weigh you down. The Rearfoot GEL cushioning system ensures and a well-tested outsole apt for various terrains. This reduces the strain during impact and maximizes stability. The reversed rugs in ASICS GEL provide uphill and downhill adhesion in all types of terrain. High abrasion rubber placed in crucial areas of the outsole to maximize durability. It has a removable sock liner which can be removed to accommodate a medical orthotic. The toughness and durability of the ASICS Gel Venture 5 were commended by its users. The rubber sole is made from the high abrasion rubber. It provides runner utmost comfort in rough terrains. Multiple color options were commended by users. The removable sock liner helps you contain foot complications as it allows to insert medical orthotics. You will love the arch support. Its ability to provide top performance in various surfaces will impress you. The falling apart of the stitched section in some cases might turn you off. Despite being a tough running shoe, it is not very flexible. You might find the Gel Venture 5 is a bit narrow making it uncomfortable. The Brooks Ghost 9 is designed to go the long distance. With a high-tech cushioning support, it gives runners stability for long runs. Also, named as the Best Buy in the Runner’s World 2016 Fall Shoe Guide. The new plus interior and enhanced mesh upper, this shoe conveys the smooth and balanced feel. The BIOMOGO DNA Midsole Cushioning helps the runner to adapt smoothly. The full-length segmented crash pad reduces strain during landing and performs proper transitions. The OMEGA Flex grooves enhance flexibility. The word comfortable is closely associated with Brooks Ghost 9. The cushioning and the support of the shoes will impress you. You will like the lightweight of the shoe. It has a very breathable upper and wider toe box for optimum use. Arch support of Brooks Ghost 9 will provide you extra comfort. You will love the versatility of the shoe. The durability of the shoes is impressive. You can go a long way with this shoe. The grip on the shoe will give you proper traction. The new stack brings it lower to the ground as compared to the older versions. You might be disappointed with the lack of color combinations. The cushioning may not suit heavier runners. The rubbing in the shoes might bother you. The upper lets in more water than usual. With optimal feature and efficient components, Saucony Cohesion 9 has been a choice. A comfortable cover system and detailed design, it helps in achieving optimal performance. This versatile shoe provides comfort from the upper to underfoot. The heel grid system will provide you with top class cushioning. The breathable mesh upper and lightweight synthetics provide you with all day comfort. The advanced material in Saucony Cohesion 9 is composed to move moisture away and ensure that you are comfortable. The cushioning ensures underfoot feel and provides impact protection. As this shoe has compressing material between the foot and the surface. It also has pronation control. The durability of the Saucony Cohesion 9 is praisable. The outsole was able to provide proper traction. The cushioning system will give you high performance. 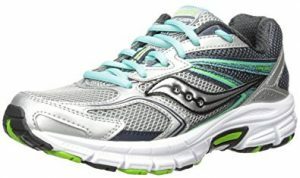 The technology in Saucony Cohesion 9 will provide you utmost comfort. The pricing of the shoe is very reasonable. Different color options were appreciated by the customers. It has a proper ‘heel grid system’ to support the heel. You might face complications regarding the inflexible mid-sole unit. You might find the shoe half a size smaller compared to what you are used to. Arch support is inconsistent and varies, it might pose a problem for you. 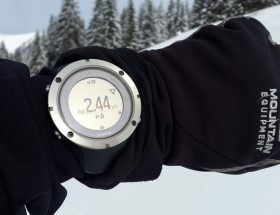 The Vionic Motion Venture has a lightweight durable mesh and manmade overlays which give a sporty cast. The high-end rubber sole will provide you with enhanced support. The Vionic Motion Venture provides a sporty look and enhances breathability and comfort in every step. The durable rubber outsole also performs highly during strenuous activities. It has a Removable Covered EVA footbed with 1st Ray Flexor technology. This shoe features orthoheel technology. It is a bio mechanic orthotic footbed that naturally adjusts your feet and helps to relieve heel pain by diminishing over-pronation. This shoe has also received APMA Seal of Acceptance. It is a seal granted to products that promote foot health. Customers have appreciated the durability of the product. Its lightweight feature will enhance your daily experience. You will find the arch support of the shoe outstanding. 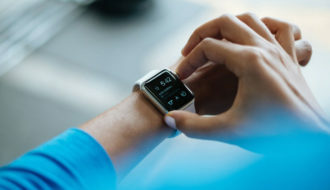 The Vionic Motion Venture will improve your mobility. The shoe has a good fit. The high-end materials of the shoe will provide a comfortable experience. You might feel that the Vionic Motion venture does not address the problem of overpronation. The toe box is slightly tighter. 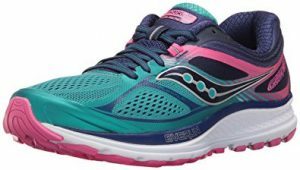 With a great combination of cushioning, flexibility and stability, Saucony Guide 7 has been a popular choice. This shoe has been engineered for the long run. This shoe is a result of almost 3 years in the making. A highly crafted shoe that fulfills the demand of the runner. The 8mm heel-to-toe offset of the Guide 7 prompts and employs a runner’s capacity to cushion and stabilize movements. Saucony Guide 7 Running uses the whole foot, not just some areas where you land and take off. The full-length PowerGrid covers you and provides continuous support. PowerGrid buffers the entire surface area of the foot, safeguarding the runner throughout the time. The light weight of the shoes provides greater support and provides utmost control. Stability is built right into how the shoe fits the foot and moves. 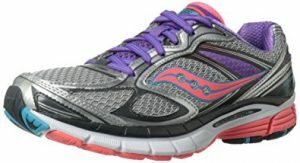 Saucony has great comfort and fit. You will be impressed by its durability and stability. The toe box is roomie making it very comfortable for many. Proper flexibility and stability in the forefront. It is lightweight yet offers proper support. Amazing protection due to the power grid cushioning. Some runners expected the shoe to be a bit more flexible. 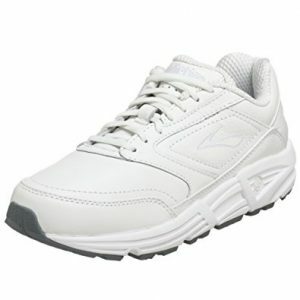 Brooks Addiction Walker provides extra cushioning and support. With MoGo Midsole cushioning and slip resistant outsole, this shoe will be highly useful. It has a supple full-grain leather upper, strong support, and a reliable slip-resistant outsole. It also has full-grain Leather Upper. It is packed with features such as Rearfoot HydroFlow ST, Forefoot HydroFlow, Full-length BioMoGo, Extended Progressive Diagonal Rollbar (PDRB) and Combination Last midsole. It also provides sturdy support one mile after another by supporting low arches and keeping pronation under check. Brooks Addiction Walker is an excellent and very comfortable. 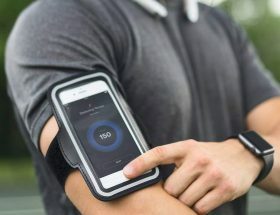 Is highly useful for people with orthopedic issues. It is an outstanding motion control support shoe for standing and walking all day. This shoe helps in reducing bunion pain and provides a roomy toe box. It is suitable for overweight people. 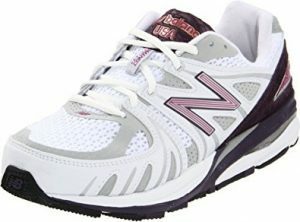 One of the best walking shoes for overpronation. Could have a better design according to few customers. You might find the Brooks Addiction Walker a bit heavy as compared to other shoes. Saucony Guide 10 is a solid update on the long-running series of stability shoes. A durable shoe with high comfort. A great shoe for daily purpose. It is packed with streamlined midsole design, dynamic engineered mesh upper and TRI-FLEX outsole with enhanced forefoot flexibility. It has a newly added engineered mesh upper for a dynamic and lightweight fit. It also has EVERUN Topsole construction for better energy return and continuous cushioning throughout the run. A strong, lightweight material is merged to the upper, which lets for fewer layers in the shoe. The result is consistent and helps to provide a flexible feel. You will find that Saucony Guide 10 will not need a break-in time. The stability mechanic of the shoe was highly appreciated. The responsive nature of the shoe’s platform made a good impression. The cushioning system is of high class and will enhance your experience. A tester used the shoe on a light trail. She was impressed. The upper unit was able to cover the foot securely. Blistering can a problem regarding this shoe. You might find the forefront a bit narrow. Running shoes have various purposes. 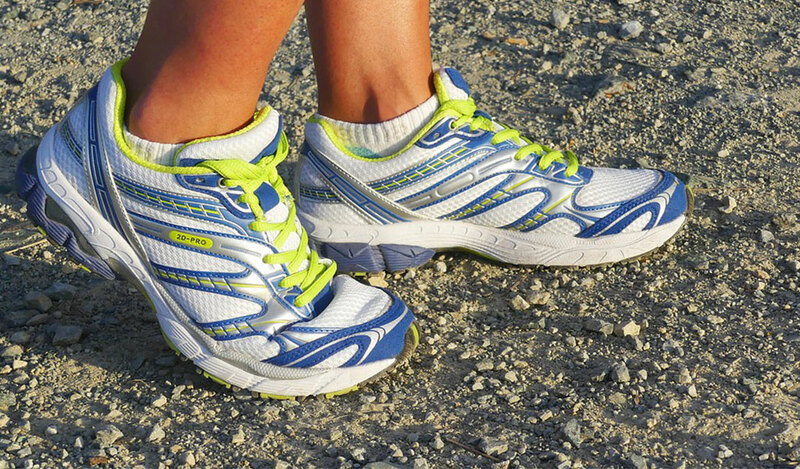 Here are some of the benefits of women’s running shoes for people with plantar fasciitis. 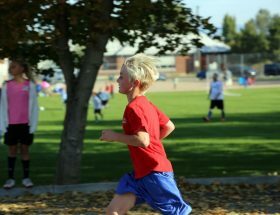 The first thing that a running shoe should do is to protect the runner. Whether you run on a smooth surface or a tricky one, running shoes helps you to provide cushion and shock absorption. As the plantar tendon runs from the heel to your toe, it needs protection from jolts while running. Specialized running shoes provide cover for you if suffering from plantar fasciitis. They not only ease your pain but also lets you exercise freely. 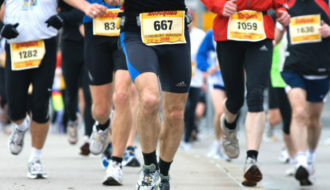 Running shoes provide greater efficiency as compared to regular shoes. If you have a problem with plantar fasciitis, running shoes can help you negate the impact with its support. Running shoe provides extra cushioning and helps you prevent plantar fasciitis. If you have a history with plantar fasciitis, a specialized running shoe can help you overcome this problem. Midsole foot cushioning is one of the very important aspects of running shoes. It is in the area that is between the ball and the heel of the foot. Midsole foot cushioning helps in reducing the area of stress and assists you in preventing plantar fasciitis. It also helps you minimize the stress on the heels, ankles, and toes. Midsole foot cushioning provides a proper base for you to perform various activities without much strain. Plantar fasciitis can be a huge problem and it can be prevented by wearing shoes that provide arch support. Arch support is a must for you as it helps to prevent strain on the ligament that supports your arch. So, a specialized running shoe should be able to provide arch stability and a right kind of support. 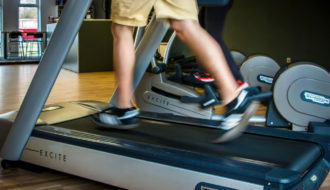 This will facilitate proper movement for you to move about and exercise. Dorsiflexing is caused when the bigger toe puts stress on the plantar fascia. Running shoes reduce dorsiflexing. A good running shoe reduces big toe dorsiflexion and prevents plantar fasciitis. Reducing toe movement to put less strain on the plantar fascia is an important feature of running shoes. The plantar fascia should be protected from unnecessary strain. If you are suffering from plantar fasciitis, choosing the best women’s running shoes is a must. Here are few factors that you need to consider. Shoes which have proper soles tend to take the shape of the feet. They do not have a flat sole, so they do not inflict pressure on the middle of the foot. 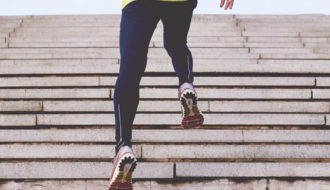 But, they have a raised back to increase support during stepping. As simple as it sounds, a shoe must fit properly. Improper fitting leads to plantar fasciitis for joggers. While purchasing a running shoe, one must consult with the salesperson about the size. Keeping in mind the length and breadth of your feet, you must choose accordingly. Heel cushions are fitted under the soles and at the back of the shoes. The impact pressure is reduced and padding is increased. 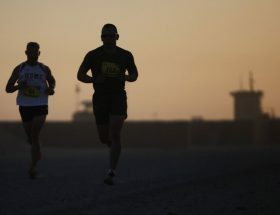 So, despite ample running there is very less stress. Shoes designed for plantar fasciitis have orthodontic inserts. In the case of wear and tear, these parts can be replaced. You can customize if you are not comfortable with the existing size. One of the major causes of plantar fasciitis is excessive pronation. While pronation is common among the masses, many shoe companies have trained staff members. They can analyze whether you pronate. They can help you out by guiding you to choose the appropriate shoes. The longitudinal arch of your foot is supported by plantar fascia. 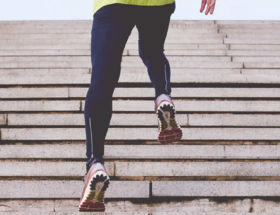 A weak arch is a leading cause of plantar fasciitis. So, you need extra support in your shoes. Select a running shoe that will lessen the load on your plantar fascia and reduces excessive straining. There is a large array of shoes that you need to select from might puzzle you. 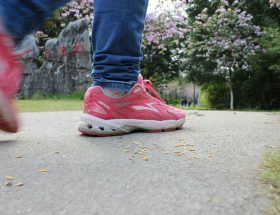 I hope you will find it easy to select the best women’s running shoes for plantar fasciitis that ticks all of your boxes. The products mentioned above have been especially selected if you deal with the burden of plantar fasciitis. 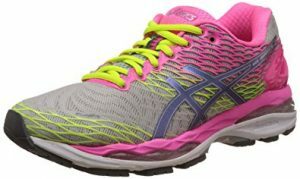 ASICS Gel-Nimbus has Gel cushioning system and it can withstand pressure with ease giving you a comfortable experience. Brooks Women’s Ghost 9 has a lightweight build and a perfect cushioning which will give you high comfort. Still, you are the one who makes the decision. Select the shoes that you are fully convinced with.